Black Velvet Blended Canadian Whisky ad from a 1974 magazine. 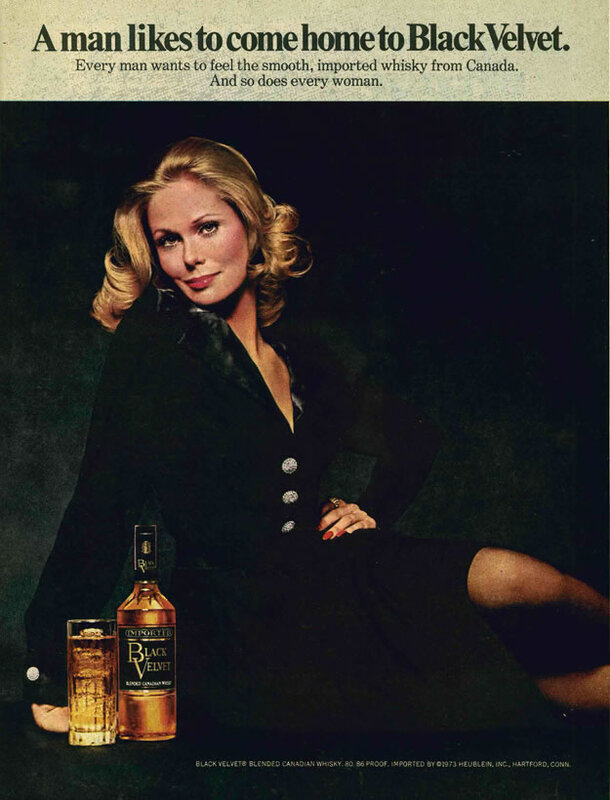 This entry was posted in ads of yore and tagged ad, ads, advertisement, advertising, black velvet, magazines, print, vintage ad, vintage ads, whiskey, whisky on September 30, 2017 by Clayton Hove. 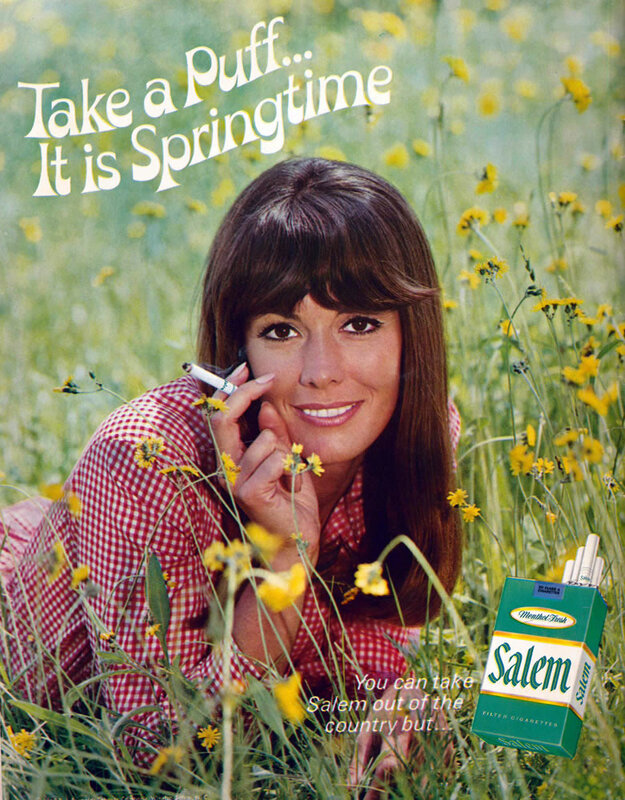 This entry was posted in ads of yore and tagged 1960s, 60s, ads, advertisements, advertising, cigarettes, menthol, print, print ads, salem, sixties on April 14, 2016 by Clayton Hove. After years and years of research, I have finally found the one person who best epitomizes North Dakotans for the outside world. It’s not Lawrence Welk, Josh Duhamel (Sorry, ladies. ), Shadoe Stevens, Leslie Bibb (Call me!) or Angie Dickinson. 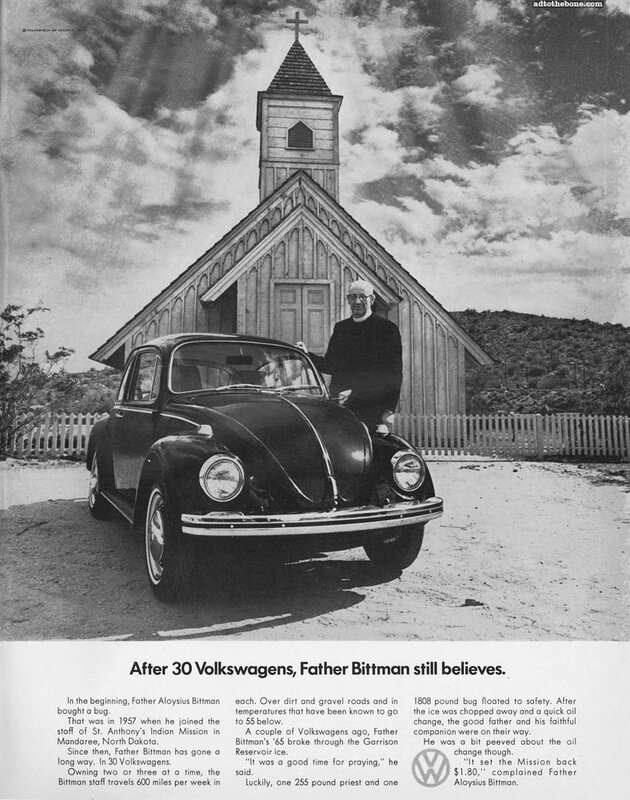 Rather, it’s Father Aloysius Bittman of Mandaree, North Dakota, who was featured in a 1969 print ad for Volkswagen. This entry was posted in ads of yore and tagged 1960s, 60s, ads, advertisements, advertising, beetle, north dakota, north dakotans, print, print ads, sixties, volkswagen on April 13, 2016 by Clayton Hove. 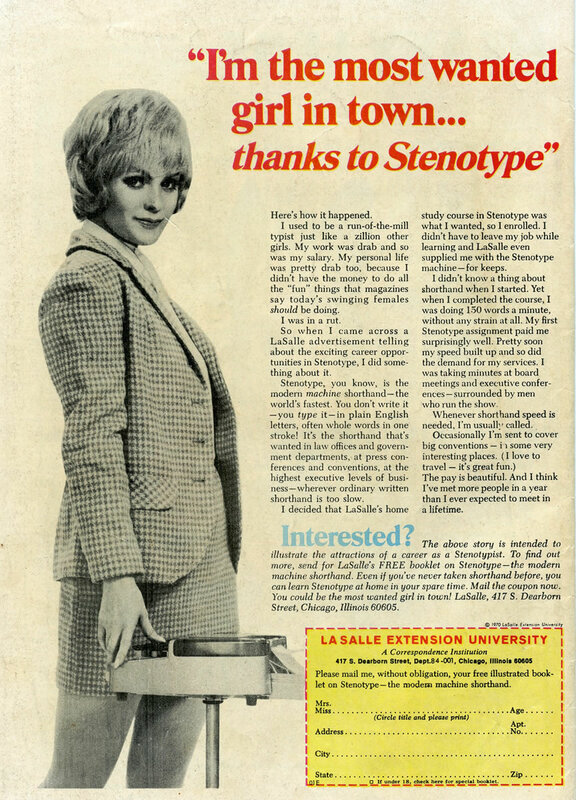 This entry was posted in ads of yore and tagged ads, ads of yore, advertisements, lasalle, old, print, print ads, print advertisements, steno, stenotype, vintage, vintage ads on March 8, 2016 by Clayton Hove.